A new study by Vanderbilt investigators suggests a diet high in trans fatty acids (TFA) may contribute to death from any cause. Previous studies have linked consumption of trans fats and death from heart disease, but this is the first to demonstrate a direct link between TFA and deaths from any cause. 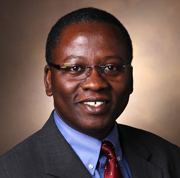 Edmond Kabagambe, Ph.D., DVM, M.S. Edmond Kabagambe, Ph.D., DVM, M.S., associate professor of Medicine, is senior author of the population-based study appearing in the May issue of the American Journal of Clinical Nutrition. Kabagambe, first author James Kiage, M.S.P.H., an Epidemiology research assistant II, and their colleagues selected more than 18,000 participants from the Reasons for Geographical and Racial Differences in Stroke (REGARDS) study for a close examination of their TFA consumption and their survival data. “We suspected trans fats would increase the risk of death from multiple causes because some studies had already suggested that TFA may increase occurrence of diseases such as cancer, diabetes and stroke. But we were surprised that the effect was actually quite large. Those who had the highest trans fat consumption had a 25 percent increased risk of death over the group with the lowest trans fat consumption,” Kabagambe said. During a seven-year follow-up of REGARDS participants, there were more than 1,500 deaths. An examination of the food frequency questionnaires of these participants found that people whose TFA consumption was as much as 3.5 percent-to-4 percent of their daily energy intake had significantly higher rates of death from everything from stroke to diabetes to cancer. The implication, Kabagambe says, is the risk of death from major diseases could be reduced as much as 7 percent if trans fats were reduced to below 1 percent. The American Heart Association and the World Health Organization (WHO) recommend limiting TFA consumption to less than 1 percent of overall energy intake while the National Academy of Sciences (NAS) recommends reducing TFA consumption to zero if possible. 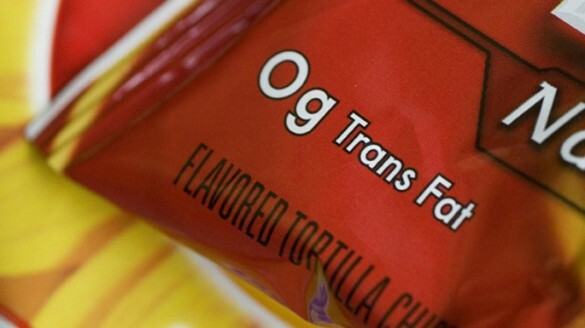 Trans fats became popular in America in the 1950s as an enhancement to baking. The product allowed companies to produce more palatable baked goods with a partially hydrogenated plant-based oil that would remain solid at room temperature. Later, they were touted as a beneficial health alternative when saturated animal fats were implicated in heart disease. However, research soon showed an association between trans fats and decreased levels of good cholesterol (HDL-C) as well as increases in LDL cholesterol.